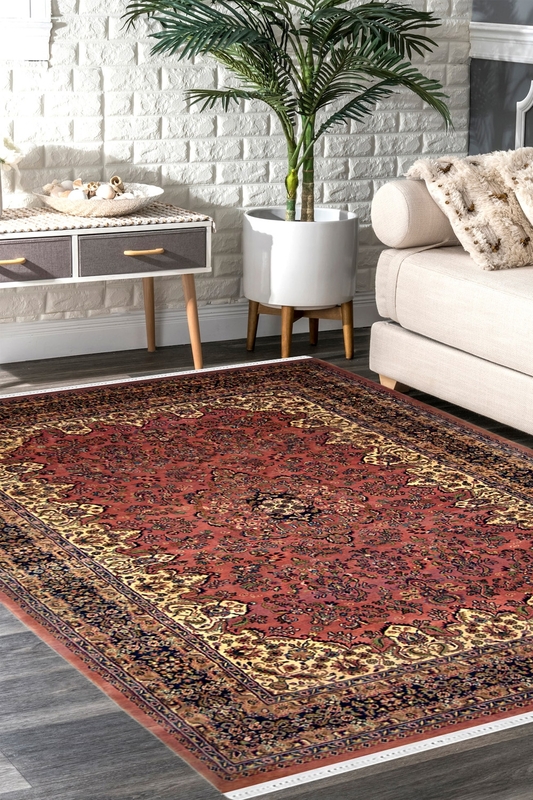 Give a finishing touch to your decor with this beautiful handmade woolen carpet which contains medallion Kashan floral pattern. The ground of this carpet is filled with the branches of flowers and it looks like a garden. This beautiful carpet is hand-knotted by our talented craftsmanship. Pink color is the color of love and understanding, this carpet is woven for the same reason. Place this beautiful handmade woollen carpet in your home and spread your love into your home. This is gorgeously woven in pure New Zealand wool and cotton material. Due to pure wool, it gives warmth and cozy touch to a place when it will place once.